Surfpoint Resort offers affordable airconditioned self catering guest house style accommodation only 500 metres from Gnarabup Beach. Just 10 minutes drive from Margaret River town centre. All this less than 10 minutes walk by road or through bird filled bushland to Gnarabup Beach to fish, surf, or enjoy a stroll along the purpose built walking trail following the coast to Prevelly. The sunsets over the ocean are amazing! We cater for couples, families, groups and singles who enjoy a friendly, comfortable and relaxing place to stay. Surfpoint Resort offers airconditioned affordable self catering guest house style accommodation on the beach in the Margaret River region. Guests have a wide choice of accommodation types including Queen, Triple or Family rooms with ensuite, or King and Twin rooms with use of shared bathroom facilities. All rooms are surrounded by gardens. Free internet and tea & coffee in lounge/dining area. We cater for a diverse range of travellers and holiday makers including bushwalkers, surfers, school and tour groups, couples, families and singles. Beautiful Lodge close to the beach with a great communal kitchen. Great location and facilities. Self service Kitchen, bar and restaurant next door. Accom basic but clean and decent size. Excellent, would recommend. Fabulously close to the beach too. Booked a shared bathroom king bed room and got free upgrade to queen+single bed with ensuite (private bathroom). Surfpoint resort surprised me more than any other places I stayed in Perth. Did I say super clean bedsheets and the room smelled fresh? Non Peak - If cancelled or modified up to 2 days before date of arrival no fee will be charged. If cancelled less than 2 days prior 50 percent of the total price of the booking or the rate for 1 night (whichever is greater) will be charged. Peak (24 December to 31 January Easter weekend April School Holidays) - If cancelled or modified up to 7 days before date of arrival no fee will be charged. If cancelled less than 7 days prior 50 percent of the total price of the booking or the rate for 1 night (whichever is greater) will be charged. Reception hours are from 09.00am - 06.00pm if you are to arrive after these times please inform reception. 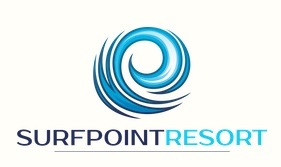 If the resort is physically damaged or destroyed and is rendered unusable in part or as a whole on the booking date any prepayment will be refunded and the reservation holder indemnifies the Owners and Managers of Surfpoint Resort for any consequential loss or expense incurred as a result of the reservation cancellation.